Unlike other products released by SMOK(like Smok T-Priv 3 Kit with TFV12 Prince Tank), SMOK Stick Prince Pen-Style Kit is an addition to the SMOK vape pen system while using TFV12 Prince Tank, designed with a hexagon power button and the special battery cover while retaining the large 8ml e-juice capacity or 2ml capacity. The SMOK Stick Prince Pen-Style Kit, as a pocket-sized device, is powered by built-in 3000mAh battery and has a LED indicator, telling you the current status of the device constantly. Unlike other products released by SMOK(like Smok T-Priv 3 Kit with TFV12 Prince Tank), SMOK Stick Prince Pen-Style Kit is an addition to the SMOK vape pen system while using TFV12 Prince Tank, designed with a hexagon power button and the special battery cover while retaining the large 8ml e-juice capacity or 2ml capacity. The SMOK Stick Prince Pen-Style Kit, as a pocket-sized device, is powered by built-in 3000mAh battery and has a LED indicator, telling you the current status of the device constantly. The TFV12 Prince Tank matches this vape pen perfectly, and holds staggering 8ml e-juice, allowing you to take many puffs throughout the day. 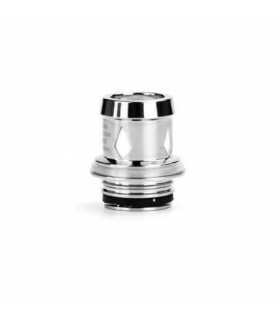 The tank also features a button-lock hinged top-fill and two bottom airflow control valves as well as different cores. The SMOK Stick Prince Pen-Style Kit is an impressive kit.